In a season filled with Ferrari dominance, the 2002 French Grand Prix was looking like a master stroke of driving by McLaren driver Kimi Raikkonen. With 4 laps remaining, Raikkonen would run wide, opening the door for Schumacher to slip through and go on to win the race, and with it his 5th World Driver’s Championship. One of my best, and I hope you’ll enjoy it too! 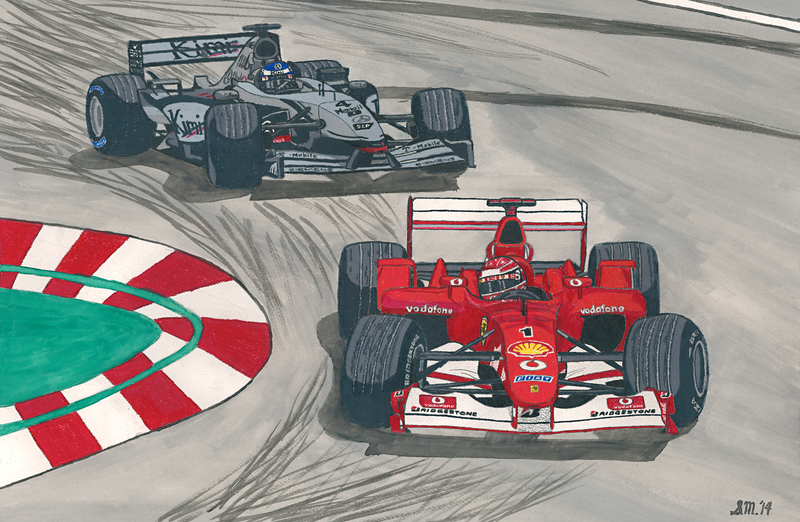 Available in a limited numbered series of 500 pieces to celebrate Schumacher’s 5th title.